K3HS - G & W Machinery Sales, Inc. 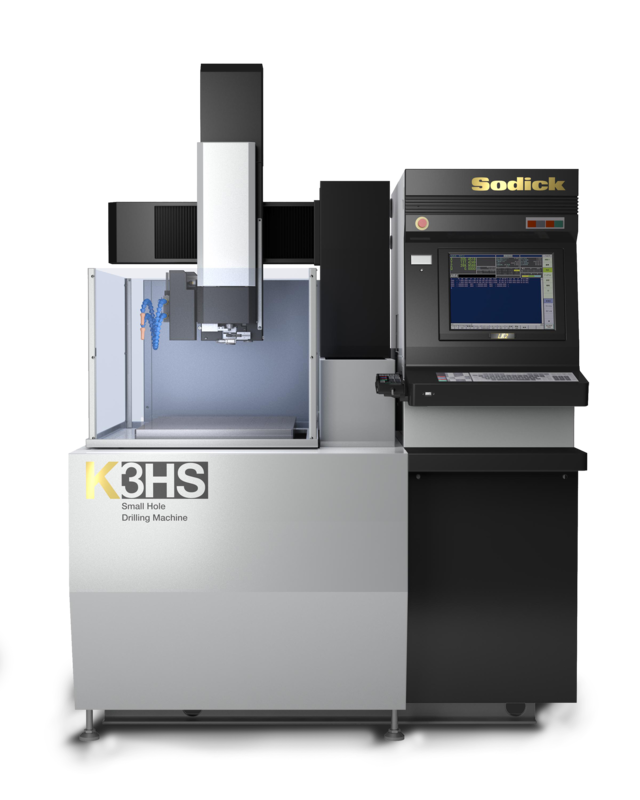 The K3HS is a high speed small hole driller EDM machine that drills difficult to cut carbide and heat treated workpieces. The K3HN is often used as a production machine to EDM start holes in die plates and is sometimes combined with an auxiliary axis to index or rotate a workpiece. Since the K3HN hole popper is equipped with K-SMC, Sodick Motion Controller, the optimized servo control is activated and improves cutting speed by up to 200%. Accurate fine feeding is controlled for stable machining. The K Series features energy-saving designs and technologies. Compared to conventional Hole Drillers, the K3HN can reduce average energy consumption by up to 60%. An automatic programming system, LN Assist, is standard on the K3HN. Its simplified graphics screen allows for easy operation. As LN assist is also capable of a series of calculations and macro functions, operators can easily work with any kind of complex cutting layouts and programs not dependent on their skills. A customized function is available where operators can register their own programs as a utility. AEF (Automatic Electrode Feeder) comes standard on the K3HN. 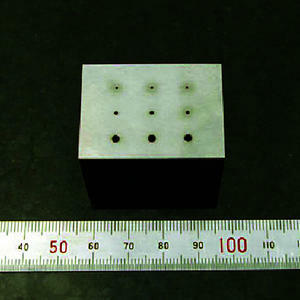 It enables continuous cutting with several electrodes.